China is sparing no effort in its attempt to erase any proof of its Uighur Muslim population in what the Communist state calls Xinjiang Uighur Autonomous Region. The area, known affectionately as East Turkistan by its 12 million Uighurs, was an independent nation state Until China began occupying and colonising it in 1949. 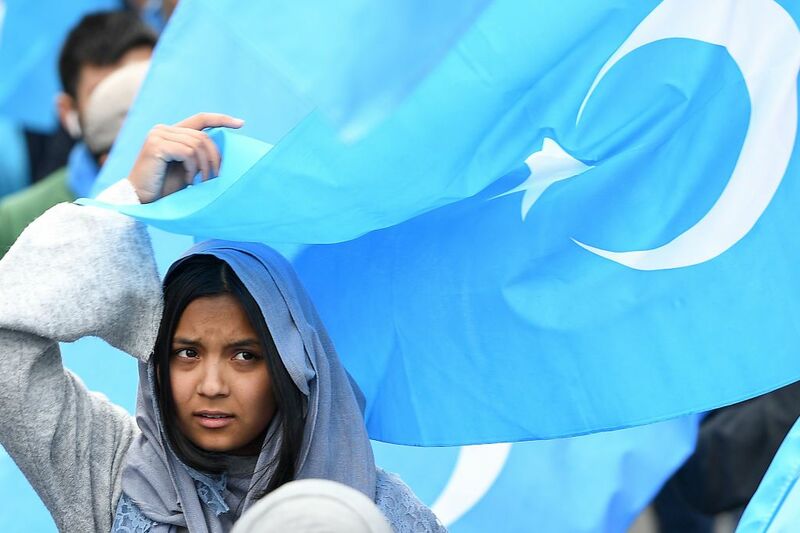 For the past several years, barely more than a trickle of information has seeped out of the tightly controlled Chinese occupied territory, but what we do know suggests China is using an array of brutal measures to eradicate any vestige of Uighur culture. These measures include a total ban on any form of expression of Islam in Xinjiang. China has not only shut down mosques, but also has banned all Islamic texts, including the Quran, while Muslim sounding names are also outlawed, as are beards and clothing that suggest adherence to the Islamic faith. More recently, China has made it mandatory for all Uighur Muslims to have their motorbikes and cars fitted with a GPS tracking device, so that authorities can pinpoint any Uighur at any given moment. If you're thinking this sounds like the making a dystopian futuristic novel, then consider also the fact that Chinese police in the province have been fitted out with "smart glasses," which use facial recognition software to identify Uighur Muslims on trains, buses and in public places. Linked to a central database, the "smart glasses" are designed to notify a patrolling officer when a Uighur Muslim has moved beyond his orher 'safe area', that is home or place of work. These hardline measures form just the tip of the iceberg, however. Uighur Muslims who refuse to give up their Muslim identity are forced into what China calls "reeducation camps", which are designed to convert Uighur Muslims to the official ideology of the state: Atheism. "We target people who are religious… for example, those who grow beards despite being young," one Chinese government officer admitted in a report. According to reports from human rights watchers, China has ordered its officials in Xinjiang to send almost half of its population to "re-education camps." For those who stubbornly defy China's indoctrination programme, prison or forced disappearance awaits. Alarmingly, these reports do little to convey the extent of the horror taking place against Uighur Muslims in East Turkistan today. Interviews I have conducted with several Uighur Muslim refugees who have escaped persecution and likely death at the hands of the Chinese government have confirmed as such. When I spoke with Sadam Musapir, a Uighur Muslim who successfully applied for asylum seeker status in 2017 while on a student visa in Australia, he told me China is now incarcerating any Uighur Muslim who attempts to travel abroad. His wife and nine-month-old child suffered just that, as the authorities fear the world will learn the full depth and breadth of China's orchestrated campaign to culturally eradicate the Uighur people. "In 60 days time from now, when my baby son, who I haven't seen yet turns one year of age, China will imprison my wife for five years, and then sell my baby to adoption agencies," Musapir told me. When I asked why China was taking this action against his wife and child, he explained that they arrested her for trying to leave the country to join him in Australia. "China is desperate for the world not to know what is happening there [Xinjiang]," said Musapir.